Nothing beats a coffee especially when it's free! Want a free coffee and Birthday muffin? Then read ahead. 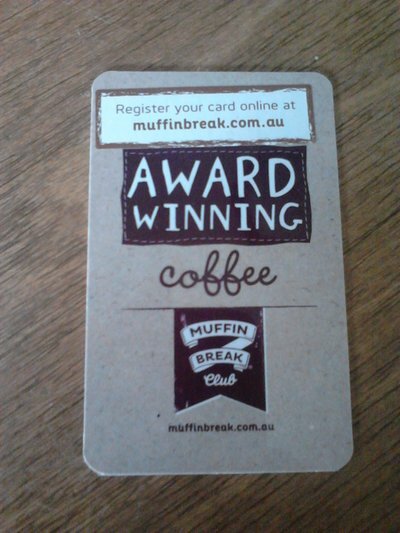 Muffin Break have a great incentive for joining their Muffin Break Club. Next time you are near one of their stores, pop in and pick up a membership card. Simply register online and you will get a free coffee. After every 4 coffees you purchase, the 5th one is free! Another perk of joining the Muffin Break Club is that on your Birthday you will receive a free muffin of your choice. With my Birthday coming up, this is one offer I'll definitely be signing up for!